Cruise with safety and comfort aboard. Fully insured, the yacht is equipped with the latest in safety gear, including radar, depth sounders, radio-telephone, full lighting and life-saving gear. This 65 foot, steel hulled vessel is USCG inspected and certificated for a capacity of 65 people. So sit back and enjoy its spacious interior and deck. Your crew has over 85 years of combined navigation expertise with licensed master mariners and pilots to ensure your safety. The yacht offers charters custom designed to your desires, with optional catering and full liquor services. • Business people can schedule an executive cruise for meetings or entertaining clients. 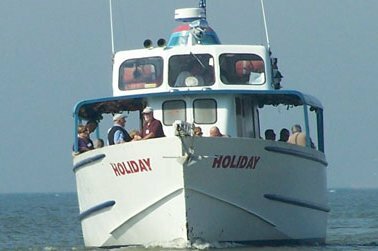 • Why not host a luncheon or dinner cruise with friends or coworkers Complete catering services include a variety of entrees, vegetable and party trays, hot and cold hors d’ oeurves. • A sunset or evening charter provides a tranquil close to a hectic day. So why not plan a wine and cheese party or a moonlight cruise? 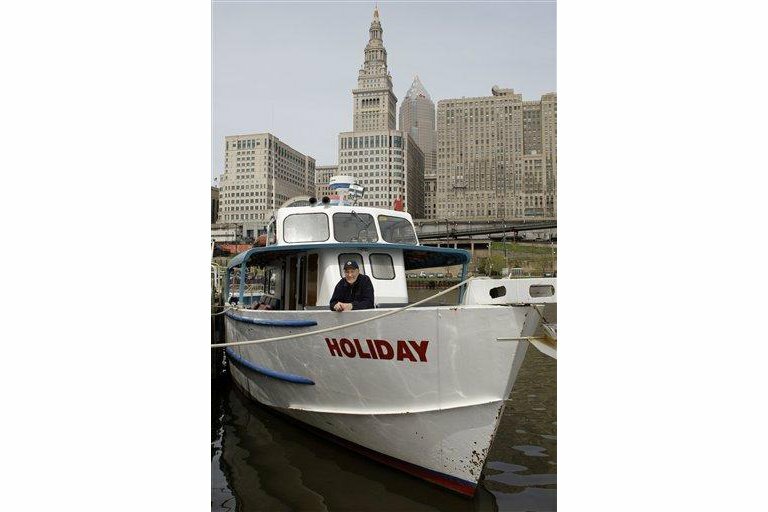 • The charm of the Cuyahoga River and Lake Erie’s historical sights is available for your school, church or social group. • Cabin contains galley for food prep and service buffet table and/or bar can be set up in cabin. • All uscg required, inspected and approved life saving gear including over 100% required life jackets for adults and children and over 100% life floats with water lights. Stated above is only an estimate of the charter fee. Please contact us for more details. Usually this boat operates around Cleveland, OH.